Canberra hosts Association of Independent Insolvency Practitioners (AIIP). AIIP conference delegates indulging in esprit de corps. Shabnam Amirbeaggi: called for directors to be adequately educated. 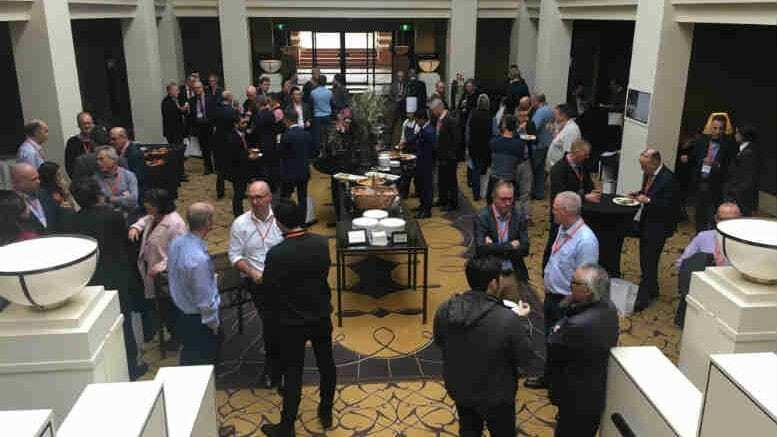 Amid near-zero nightly temperatures and the final parliamentary sitting week before the winter break the inaugural conference of the Association of Independent Insolvency Practitioners (AIIP) commenced yesterday and the mood for change was palpable. Change it seems, is what’s needed, and in the art deco halls of the Hyatt Hotel in Canberra, cases for radical change were put forward. During a Future of Insolvency panel discussion moderated by Insolvency News Online, panellists called for the Insolvency Law Reform Act 2016 to be torn up and written anew. Objectors if any were silent. The current status of information relevant to the insolvency process – neither free nor freely available – was also censured. Make it available for all was the call, via an online portal. The somewhat vexed relationship between the profession and regulators also came in for attention, though INO heard positive noises about the bridges being built in recent times, times which seem to coincide with the appointment of ex-McGrathNicol partner Thea Eszenyi as Senior Executive Leader, insolvency practitioners, at ASIC. More is likely to be learned about the improving relationship when Eszenyi arrives in Canberra to address delegates today. Change too was needed in terms of the weight of responsibility for education and compliance placed on registered liquidators and trustees in bankruptcy. ASIC and AFSA might do more so practitioners could devote their time to investigating reasons for a company’s failure and identifying potential recoveries for creditors. Shabnam Amirbeaggi of Crouch Amirbeaggi called for minimum accounting and business education standards for people presuming to become a director of a company. Roland Robson of Robson Cotter warned of a “silent revolt” by creditors overwhelmed with information they have neither the time or inclination to understand. AIIP president and Helm Advisory Principal Stephen Hathway called for the insolvent trading laws to be subjected to the same wholesale overhaul as that which was proposed for ILRA 2016 by Keay’s Insolvency author Michael Murray. In other words, toss it in the recycling and start again, with the emphasis on the drafters consulting in a genuine and meaningful way with profession. That brought calls for insolvency practitioners to agree on the critical elements of reform. Legislators, the conference was warned, had to be presented with the same persuasive message, over and over and over again. Only time will tell if the concerns expressed and solutions offered manifest themselves but the inaugural AIIP conference’s first wasn’t all Jacobin foment. Kicking off the event was Macquarie Equities’ Ben Forrester, who provided an excellent overview of global and domestic market trends and while he couldn’t sate the appetite of his audience for widespread carnage he did point to the fact that the data is flashing warning signs and volatility levels are at historic and unsustainable lows. Forrester also provided one of the best lines of the day, admitting that if he was confined to a desert island and was permitted to view only one chart once a year, it would be the chart depicting the state of global bond yields. Well, maybe if one was marooned in Canberra……..? 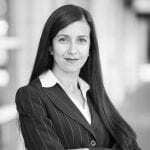 1 Comment on "AIIP inaugural conference kicks off in Canberra"
Thea Esczenyi – Senior Executive Leader Insolvency Practitioners ASIC but also a member of ARITA whose members Esczenyi is charged with regulating – investigating and disciplining. What a joke. If this FSRC is above board the relationship between banks and insolvency practitioners should be investigated in the RC as a priority.